Southern red oak is a medium-sized, straight-trunked oak which, in time, develops long, spreading branches, giving the top an even, well-formed appearance. Its smooth gray bark becomes dark and furrowed, eventually becoming black. Thin, papery, lobed, bristle-tipped deciduous leaves turn reddish-brown in fall. Twigs pubescent reddish-brown twig with star shaped pith; reddish-brown terminal bud is ovoid and pubescent. Leaf petiole 3/4 - 2 3/8 inches (19 - 60 mm) in length, smooth to sparsely pubescent; leaves are elliptical to ovate, 4 - 11 3/4 inches (101 - 298 mm) long and 2 3/8 - 6 1/4 inches (60 - 159 mm) wide, u-shaped base, margin has 3 - 7 deeply divided lobes with 1 - 3 bristle-tipped teeth, apex longer than lateral lobes; upper surface a glossy green often with some pubescence along midrib, lower surface covered with gray or tawny pubescence, secondary veins raised on both surfaces. Often called Spanish Oak, possibly because it commonly occurs in areas of the early Spanish colonies. It is unlike any oaks native to Spain. The lumber is marketed as Red Oak. Cherrybark Oak (Q. pagoda Raf.) is sometimes considered a variety of Q. falcata (Q. falcata var. pagodifolia Ell). The lobes of its leaves taper to points that remind some people of the graduated roofs of pagodas. The leaves have 5-11 broad shallow lobes and whitish hairs beneath, and the bark is smooth and cherry-like with short ridges. Size Notes: Moderately fast growing, medium to large tree, which grows to 150 feet (45.7 m). Leaf: Upper surface a glossy green often with some pubescence along midrib, lower surface covered with gray or tawny pubescence. 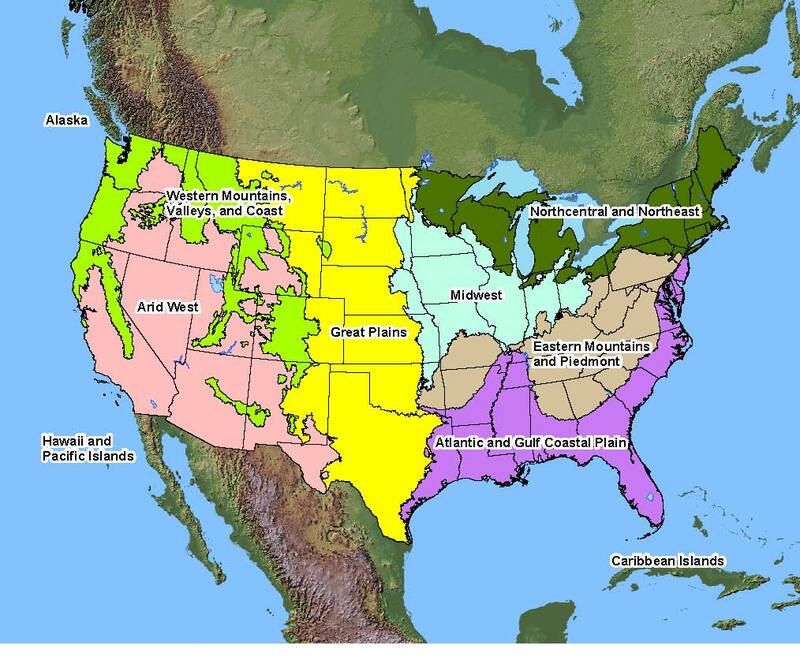 Native Distribution: Occurs from New Jersey and Florida west to Oklahoma and Texas. Native Habitat: Dry upland sites of sandy or clay loam throughout the southeastern United States. Conditions Comments: Southern red oak can subsist on some of the most abused, degraded soils found anywhere in the South. In these conditions, however, the tree develops a weather-beaten, unkempt appearance. The tree grows relatively quickly, for an oak, and is long-lived. Use Wildlife: Substrate-insectivorous birds, Nesting site, Fruit-birds, mammals, rodents, deer. Cover. Use Other: Southern red oak lumber is marketed as red oak for construction and furniture. Larval Host: Banded hairstreak, White M hairstreak. Seed Collection: Best quality acorns are picked or shaken from the tree. Collect when color has changed to brown. Best if sown immediately as acorns lose viability quickly in storage. Short-term storage in moist, shaded saw dust or sand. Acorns to be sown immediately can be soaked in hot water for 15 min. to prevent weevil infestation. Stored seed should be fumigated with methyl bromide. Seed Treatment: Stratify seeds in moist sand or potting soil for 30-60 days at 32-38 degrees.